Please note that we usually answer all emails and messages via the contact form within 24 hours. If you do not receive contact from us within 24 hours, then please check your junk folder before contacting us again as replies can sometimes end up there depending on how some spam filters work. If you have any questions you would like answering, either before or after placing an order, then in the first instance, please visit our FAQ page and our Terms and Conditions page. If you do not find an answer to your question there, then please feel free to contact us and we will be more than happy to assist you. 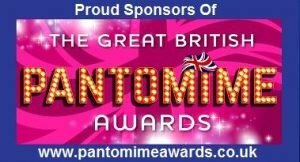 You can view the complete list of our Pantos on our Pantomime Scripts page and read a synopsis and a large script sample for each one. We continually add new panto scripts so please keep checking back. You can also check out our latest additions by visiting the Latest Pantomime Scripts section on our home page.